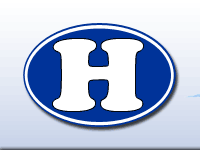 Hilliard Davidson Athletic Boosters is a registered 501(c)(3) non profit, completely volunteer organization that supports all board recognized varsity athletic programs at Davidson and Weaver Middle Schools. If you have a student athlete at Davidson, we are the providers of all the patches, letters, chevrons and awards they receive to place on their varsity jackets. At Weaver, we supply participation certificates. We also fund requests from coaches for equipment and facility improvements. The boosters also award Scholarships to selected outstanding senior athletes. Our largest source of income comes from our membership dues. In addition, we raise funds through concession sales for all winter and spring sports. Funds are also raised through Hollyfest concessions and bake sale. During football season, funds are raised through 50/50 raffles at home games and program sales. We hold monthly meetings on the second Monday of every month (except July) at 7 PM. We typically meet in the commons area at Davidson High School. Occasionally we will meet in the first classroom behind the commons, next to the athletic directors office. Everyone is welcome! Click HERE to go to the schedule for the Hilliard Davidson Wildcats sports. Click HERE to go to schedule for the Hilliard Weaver Middle School sports.